Did you have dreams when you were young of doing something special? My dreams were first to be a journalist and cover major news. I did that in my 20s. Second, to be an activist, promoting the health of our planet and ourselves, I did that in my 30’s, 40’s and 50’s. I am not sure I ever dreamed I would be a published author and yoga teacher, but life has its way of guiding you when you follow the Universe’s wisdom. Six years ago, I went back to school to become a yoga teacher. This year, I have joined the ranks of published authors. 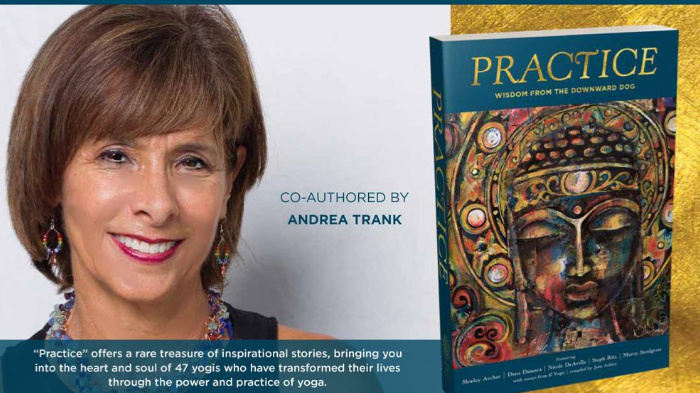 My personal story of yoga’s healing powers is in a beautiful compilation book published by Flower of Life Press called Practice—Lessons from Downward Dog. Write My story? No way! When I was asked to contribute, I thought, no way would I be able to put into words, what yoga has meant for me in my journey to heal. But when I sat down to write my chapter last fall, the words just poured onto the page. My story is just one of 47 inspiring stories written by yogis from all over the world and all walks of life. Since getting my copy and dozens more to sell, I can’t put the book down. Here are a few of the reviews of my chapter—Before Yoga, there was Fear. Finding my Ground on the Mat. It is hard to believe that this strong, grounded woman who guides the yoga sessions I have taken part in these past few years ever felt such fears. It’s a testament to the power of yoga, as a physical and mental practice to heal and give us coping tools, that Andrea put what she learned into action to remake her own life. Andrea transmits such peace and strength as a teacher, and that comes through 100 percent in her story here. Her triumph over her fears and health issues — through the power of her mind and yogic teachings — should be an inspiration to all who read this. If you know someone who suffers from these types of life-limiting fears, please share this powerful journey with them. 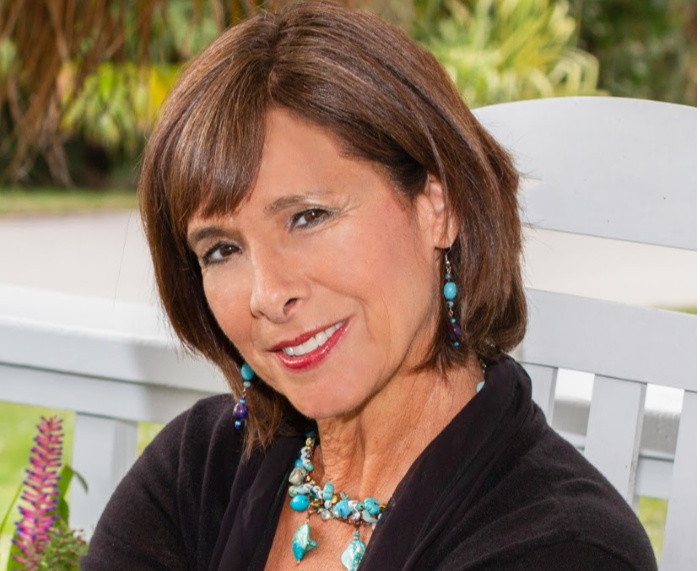 Andrea Trank writes of her journey to Yoga with inspiring honesty. From being a student to the commitment of becoming a teacher, her story speaks to the true purpose of yoga — the cultivation of loving-kindness towards oneself and therefore, towards the world. Her students and readers are very fortunate. To read why I launched yoga on Heaven Lane, please consider purchasing this book. Not only will you read my story, but 46 other inspiring stories that will lift you up and help you get to your mat maybe for the first time or maybe for the thousands time. There are so many reasons to take up yoga and even more to continue to practice yoga your whole life. This is a book you will want to read every night before you go to bed. Order here. Price includes shipping and handling. Thank you so much for supporting my mission to help people live healthier lives through yoga and lifestyle changes. My services include yoga teaching, wellness marketing, lifestyle and wellness coaching and making jewelry. Contact me for a 30-minute FREE consultation to see how Heaven Lane can help you.